I recently watched "Abstract The Art of Design" on Netflix. I fell in love with all of the 8 designers from the series. Paula Scher was especially inspiring... here's her story as one of the top graphic designers world wide. 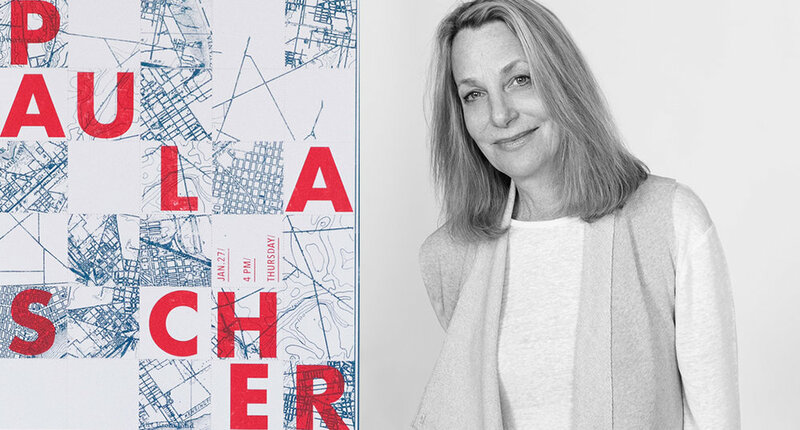 Paula Scher moved to New York City and took her first job as a layout artist for Random House's children's book division. In 1972, she was hired by CBS Records to the advertising and promotions department. After two years, she left CBS Records to pursue a more creative endeavor at a competing label, Atlantic Records, where she became the art director, designing her first album covers. A year later Scher returned to CBS as an art director for the cover department. During her eight years at CBS Records, she is credited with designing as many as 150 album covers a year. Some of those iconic album cover designs are Boston (Boston), Eric Gale (Ginseng Woman), Leonard Bernstein (Poulenc Stranvinsky), Bob James (H), Bob James and Earl Klugh (One on One), Roger Dean and David Howells (The Ultimate Album Cover Album) and Jean-Pierre Rampal and Lily Laskin (Sakura: Japanese Melodies for Flute and Harp). In addition her designs were recognized with four Grammy nominations. She is also credited with reviving historical typefaces and design styles. She left CBS to work on her own in 1982. Scher developed a typographic solution based on Art deco and Russian constructivism, which incorporated outmoded typefaces into her work. The Russian constructivism had provided Scher inspiration for her typography; she didn’t copy the early constructivist style but used its vocabulary of form on her works. In 1984 she co-founded Koppel & Scher with editorial designer and fellow Tyler graduate Terry Koppel. During the six years of their partnership, she produced identities, packaging, book jackets, and advertising, including the famous Swatch poster based on previous work by Swiss designer Herbert Matter. In 1991, after the studio suffered from the recession and Koppel took the position of Creative Director at Esquire magazine, Scher began consulting and joined Pentagram as a partner in the New York office. Since then, she has been a principal at the New York office of the Pentagram design consultancy. In 1992, she became a design educator, teaching at the School of Visual Arts (SVA) in New York. She received more than 300 awards from international design associations as well as a series of prizes from the American Institute of Graphic Design (AIGA), The Type Directors Club (NY), New York Art Directors Club and the Package Design Council. She is a select member of Alliance Graphique Internationale (AGI) and her work is included in the collections of New York MoMA, the Library of Congress in Washington, DC, the Museum für Gestaltung, Zurich and the Centre Georges Pompidou". As an artist she is known for her large-scale paintings of maps, covered with dense hand-painted labeling and information. She has taught at the School of Visual Arts in New York for over two decades, along with positions at the Cooper Union, Yale University and the Tyler School of Art. Paula Scher has contributed to numerous issues of Print. Her first Print cover was with her friend Steven Heller. Together they created a parody issue in 1985, a genealogy chart of graphic design. In 1994, Paula Scher was the first designer to create a new identity and promotional graphics system for The Public Theater, a program that become the turning point of identity in designs that influence much of the graphic design created for theatrical promotion and for cultural institutions in general. Based on the challenge to raise public awareness and attendance at the Public Theater along with trying to appeal to a more diverse crowd, Scher created a graphic language that reflected street typography and graffiti-like juxtapostion. In 1995, Paula Scher and her Pentagram team created promotional campaigns for The Public Theater’s production of Savion Glover’s Bring in’Da Noise, Bring in ‘Da Funk that featured the wood typefaces used throughout The Public Theater’s identity. Scher was inspired by Rob Ray Kelly’s American Wood Types and the Victorian theater's poster when she created the cacophony of disparate wood typefaces, silhouetted photographs and bright flat colours for the theater's posters and billboard. Scher limited her colours to two or three while highlighted the play’s title and theater logo that surrounded the tap artist in a typographical be-bop. The design was to appeal to a broad audience from the inner cities to the outer boroughs, especially those who hadn’t been attracted to theater. From 1993 to 2005, Scher worked closely with George C. Wolfe, The Public’s producer and Oskar Eustis, who joined as artistic director during the fiftieth anniversary in 2005, on the development of posters, ads, and distinct identities. As part of the anniversary campaign, the identity was redrawn using the font Akzidenz Grotesk. The word “theater” was dropped and emphasis was placed on the word “public”. By 2008, the identity was even more definitive as it used a knockout font called Hoefler & Frere-Jones which provided affordable and accessible productions. In 1994, Scher has created the first poster campaign for the New York Shakespeare Festival in Central Park production of The Merry Wives of Windsor and Two Gentlemen of Verona, and was borrowed from the tradition of old-fashioned English theater style. This laid the foundation for the new overall identity and visual language that came to define the Public Theater for the rest of the decade and beyond. The designs for the Shakespeare in the Park campaign went all across New York, like the buses, subways, kiosks, and billboards. Scher’s Shakespeare in the Park campaign had become a seasonal tradition in the city. The identity has progressed over the years which redesigned The Public Theater logo in 2005 and 2008. The campaign in 2008 for the productions of Hamlet and Hair, utilizes the strict 90 degree angles of a De Stiji-inspired grid, a pattern in Manhattan’s streetscape. The identity is like New York itself, constantly evolving. In 2010, Scher designed the New York Shakespeare Festival in Central Park poster has presented powerful productions of The Winter’s Tale and The Merchant of Venice, starring Al Pacino as Shylock. Scher’s festival promotional campaign focuses on the reminiscent language in both plays by pulling lines from each production to meet in a dimensional expressive of words and typography. This campaign was award for Print Regional Design Annual 2011. The Museum of Modern Art (MoMA) is one of the most recognizable logotype in the museum world. In 1964, the Franklin Gothic No.2 logotype was originally designed by Ivan Chermayeff. By 2004, Matthew Carter redrawn a new custom typeface named MoMA Gothic. Although MoMA core identity is well developed iconic museum but the applications like the web, print, and physical environment has not been unified or visionary like the museum itself. In order to continually carry the spirit of the institution, the museum hired Pentagram to design a more powerful and integrated comprehensive system. To create a new approach that modernizes the institution’s image, Paula Scher designed a complete methodology for the new system to work at any scale, from an exterior banner to a print advertisement in the newspaper. Scher designed a strong grid to uniform placement of images and types. The artwork is being cropped to maximize visual and each quadrant of a page or a banner has specific function. A particular image is selected as the signature focus for an exhibit and list of upcoming events unrelated to the featured into a text block. The black on white logotype placed at vertically position whenever is possible and always bleeds off an edge. Julia Hoffman, MoMA’s creative Director for Graphic and Advertising and her internal team have used the new system and brought the system to life in applications from larger banners and subways poster to the website. Paula Scher and Julia Hoffman has designed the new identity for The Metropolitan Opera. The Metropolitan general manager, Peter Gelb proposed to rebrand the institution and reach a wide audiences like the younger generation that never set foot inside the opera hall. The identity is set in Baskerville and Avenir and the campaign features performance of “Madama Butterfly”. The print ad campaign launched on August 20, 2006 and according to Thomas Michel, the Metropolitan’s marketing director, it was a successful sales day in the history of the organization. Paula Scher has designed a new identity and promotional campaign for the New York City Ballet, one of the largest and well-known dance company founded in 1933 by Lincoln Kirstein and George Balanchine. Scher designed with Lisa Kitchenberg of Pentagram and the NYCB’s Luis Bravo, to create an identity that links the company’s legacy and location to a modern and dramatic new aesthetic. The logo is set in the font DIN that appears slightly stacked on each layer. The palette is composed of black, white and silvery grays, in the way it resemble to the buildings of New York appear sometimes. It has a softened transparency and a subtle gradation of colour that will include shades of blue blacks, green blacks and red blacks. Scher also cropped the images of City Ballet dancers to create more tension and drama. The new identity and graphics appeared on bus shelter, subway poster, magazines and newspapers ads, in the company’s programs and website, and in environmental graphics at the New York State Theater at Lincoln Center where the company performs. In 2001, Paula Scher created an interior design for the New Jersey Performing Arts Center. In the design, there are words running along the walls; tubes and balconies reflecting with vast letters that gives a joyfully effect to represent the shows performance in the building. It was signature and environmental graphics for the Lucent Technologies Center for Arts Education, a school affiliated with NJPAC. For the Achievement First Endeavor Middle School at Clinton Hill, Brooklyn, a charter school for grades 5 through 8, Paula Scher has created a program of environmental graphic that helps school interiors to become a better learning environment. She created vibrant space with bold typography font of Rockwell and simple paint to change the life of its students. With the help Rogers Marvel Architects, who designed the school as a refurbishment and expansion of existing building. The design was based on Endeavor’s teaching philosophy and series of motivational slogans used by its teachers. Scher has enlarged these concepts into super-graphics that help define the interior spaces. The graphics appear as an equations form (“Education = Choice”, “Education = Freedom”) in the hallways and quotations running around the wall of gymnasium and staircase which encouraging student to do better and create a unique environment of their own. Scher designed a new logo for Windows 8 and also the logo of Office 2010. In 2006, an exhibition at Maya Stendhal gallery in New York City, Paula Scher painted two 9-by-12-foot maps that resembled patchwork quilts from afar, but contain much textual detail. She created lines that represented the separation of political allies or borders dividing enemies. Scher created the maps into layers that reference what we think when we think of Japan, Kenya, or the Upper East Side. For instance, The United States (1999) was painted in blocky white print and full with list of facts that comprehend when we think about cities. Africa (2003) represented in a stark black and white palette, hinting at a tortured colonial past. The land of the red rising sun represented when we think of Japan (2004). This was Scher's first solo exhibition as a fine artist and sold every piece between $40,000 to $135,000. The Maya Stendhal's owner decided to extend the exhibition for four weeks, until January 21. Therefore Scher decided to produce silk-screened prints of 'The World' that contained large-scale images of cities, states, and continents blanketed with place names and other information. It's full of mistakes and misspellings and visual allusions to stereotypes of places such as South American, painted with hot colours and has two ovaries on the sides. It was not created to be a reliable map but convey a sense of the places that are mediated and mangled. In 2007, Paula Scher had created screen-prints of NYC Transit and Manhattan that is printed on hand-made deluxe Lana Quarelle paper. NYC Transit portrays the island of Manhattan as a busy destination crisscrossed by a subway system of loopy, colour-coded lines and stations. It also shows the Manhattan night famed neighborhoods. In 2008, Maya Stendhal released a limited edition print map of China and renowned artist Paula Scher. The map is 48.5 x 40 inches, printed on deluxe Lanaquarelle paper, hand-made in the Vosges region of France. Scher collaborated with Alexander Heinrici to convey the hand-painted map to represent the rapid economic growth, booming industry, the success of Olympic bid, and superpower status on China. In January 1970, Paula Scher first met Seymour Chwast when she was a senior at the Tyler School of Art. They met each other through an interview at Pushpin, arranged by an art director named Harris Lewine, where she took her portfolio to him. In 1973, she and Chwast married, and divorced five years later. They remarried in 1989. Art Directors Club Hall of Fame 1998, Chrysler Award for Innovation in Design 2000, AIGA Medal 2001, National Design Award (Cooper Hewitt Smithsonian) 2013 Honorary Doctorates from Corcoran School of Art, Maryland Institute of Art and Moore college of Art. Awards for graphic design; American Book Award nominations for best book design, and for best compilation of written and graphic material, both 1981, both for The Honeymoon Book: A Tribute to the Last Ritual of Sexual Innocence. Awards: Print's Regional Design Annual 2011 for Shakespeare in the Park 2010 campaign, Map Murals for Queens Metropolitan Campus, and Environmental Graphic for Parking Garage at 13-17 East 54th Street. And finally I'm including a series of logos Paula designed as well as a few other famous pieces you may recognize.